The best thing about Bruges? It only takes a few hours to get there from London making it a perfect weekend getaway. 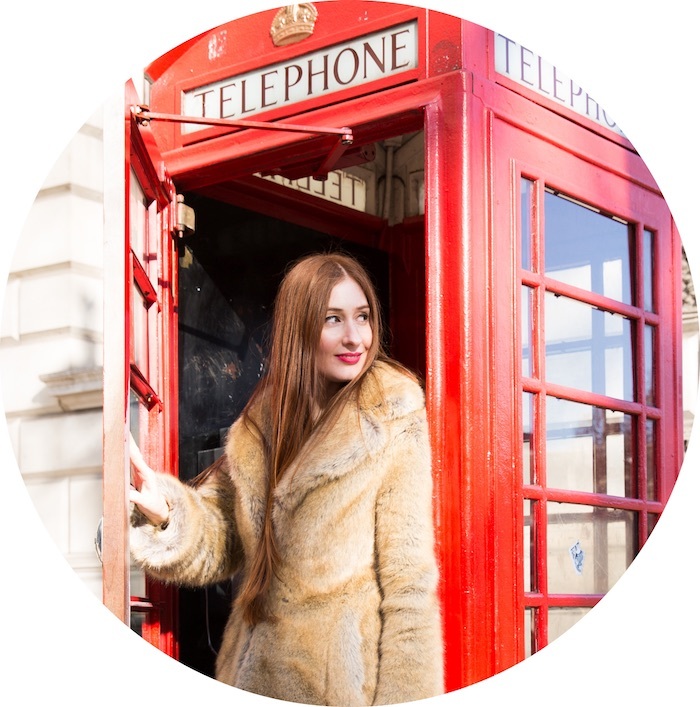 No I’m just joking – I’m not that London-centric – yet. The best thing is the beautiful vistas; everywhere you look, Bruges is picture perfect. I know that’s hardly news if you’ve already seen photos, but at the very least I can confirm your suspicions that it’s absolutely stunning. I’ve wanted to go to Bruges for years, but a fear of hordes of (fellow) tourists held me back. But, I'm so glad I finally bit the bullet because in reality it’s a pretty relaxed place, and it’s so small you can easily do, see and eat your way through it in a weekend. If you want great pics (read Instagrammable), this is the city. You don’t need an itinerary – you can just walk around the canals with camera or smartphone in hand. But I found the best spots to take photos in Bruges are the Jan van Eyck Square, the coloured buildings in the Markt (main square), from the top of the Belfry (bell tower), Rozenhoedkaai (Quay of the Rosary), the bridge to Begijnhof and the bridge on Meestraat. Make sure you also head out at night – particularly if you’re a serious photographer as the reflections on the water are especially pretty. Belgium is famous for its fries; in fact the Belgians claim they invented them. So of course you have to eat some covered in mayonnaise at least once while you’re in Bruges (I ate them more than once, obviously). One of the most interesting things I learnt about Bruges while I was there, is that the chip stalls beneath the Belfry in the main square used to pay up to €100,000 to sell their fries in the tourist hotspot. As far as I’m concerned if you’re confident enough to pay that much money for a tiny stall – your fries must be good. These days there’s a lottery to decide who gets these prime real estate positions – but they still sell delicious fries, which you can eat while you watch the world go by in the busy square. Belgians have been brewing beer since the 12th century and have the most Trappist breweries in the world, so I guess you could say they know their beer. I’m not the biggest beer drinker, but you can’t go to Bruges without stopping in at De Halve Maan (The Half Moon), which is the city’s only continuously working old brewery. Alongside its historical importance, it’s also a bit of a trailblazer – opening Belgium’s first major beer pipeline in 2016. Yes, you heard right – beer pipeline. 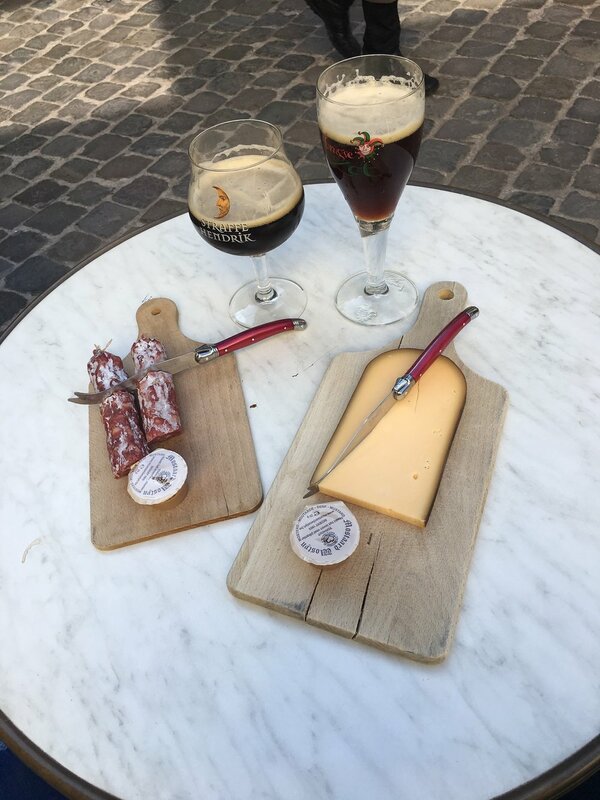 To find your happy place (or my idea of a happy place), do a tour (which includes a great view of Bruges from the rooftop) and then sit back after with some cheese, sausage and an unfiltered beer. Belgium is the land of chocolate, fries and waffles. But Bruges also has plenty of less cliché restaurants, cafes and bars, if you want to go beyond the predictable. Two of my favourite places to eat in Bruges are at the Gran Kaffee De Passag, where you can sample the Belgian tapas, and at Restaurant De Wijngaert where they have the best flame grilled seafood. A cute spot for brekky is the Tearoom Carpe Diem and you'll find the best ice cream at Oyya. This is touristy, yes, but it’s fun. Plus you’ll need a break from all the walking around and eating. It’s cheaper than I expected – about €7 per person, lasts about half an hour and they’ll point out the main attractions as you cruise past. 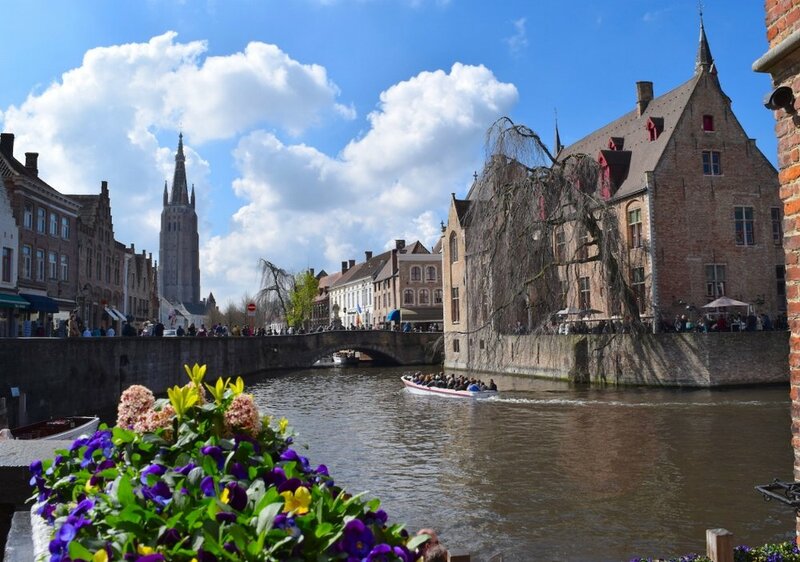 What's your favourite thing to do in Bruges? Leave a comment below to share your tips.